At Cottons we understand that start-ups can often spend many hours deliberating over their concepts, visions and values but give less consideration to the little but important fundamentals like understanding legal business structure, the tax calendar and how to manage bookkeeping. These things can be equally as vital to the success of a business as the most dazzling marketing plan. During the evening, Ollie Warne and Ross Stokes from Cottons London, explained the differences between Sole Traders and Ltd Companies, tax thresholds, when you need to pay your taxes, and how to keep your books in a way that doesn’t make start-ups want to put the task off. 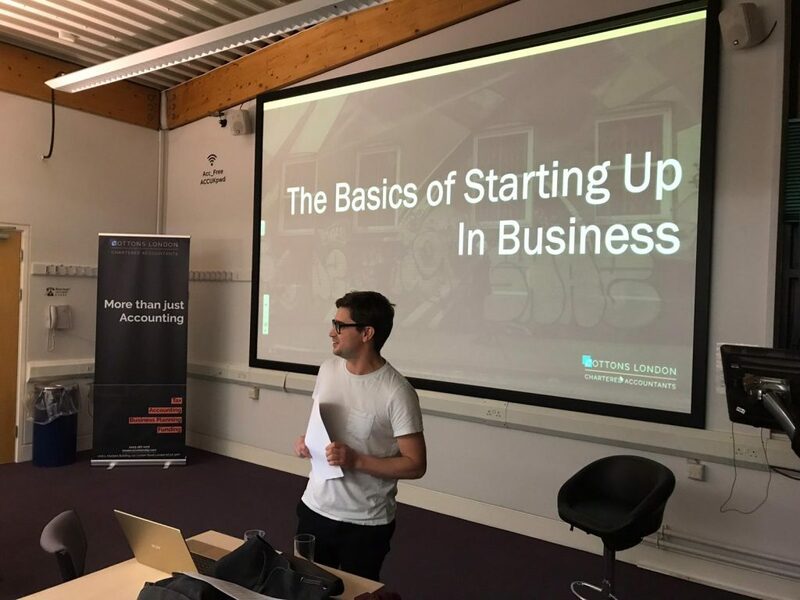 They delivered a useful presentation to an audience of Accelerator’s start-ups to help them get a grasp of these things and start their businesses on the right foot. This was a great opportunity to share this important information in a relatable fashion. Well done to our team in London for continuing with their great work. If you missed the presentation but you’re interested in learning more, you can see the slides here. If you’re a London-based business you can also contact the team at Cottons Chartered Accountants London to arrange a chat, or alternatively contact your own local team.